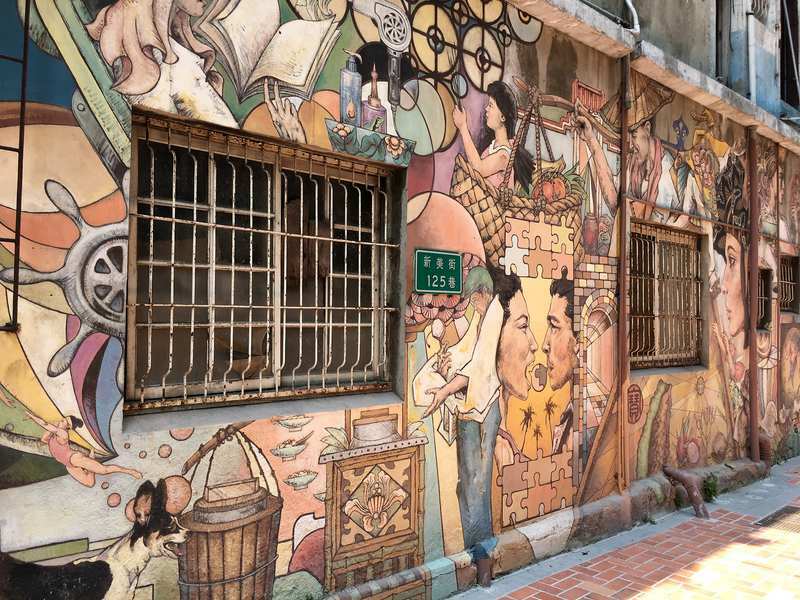 Tainan was the 2nd city we visited in Taiwan and I liked it even more than Kaohsiung. 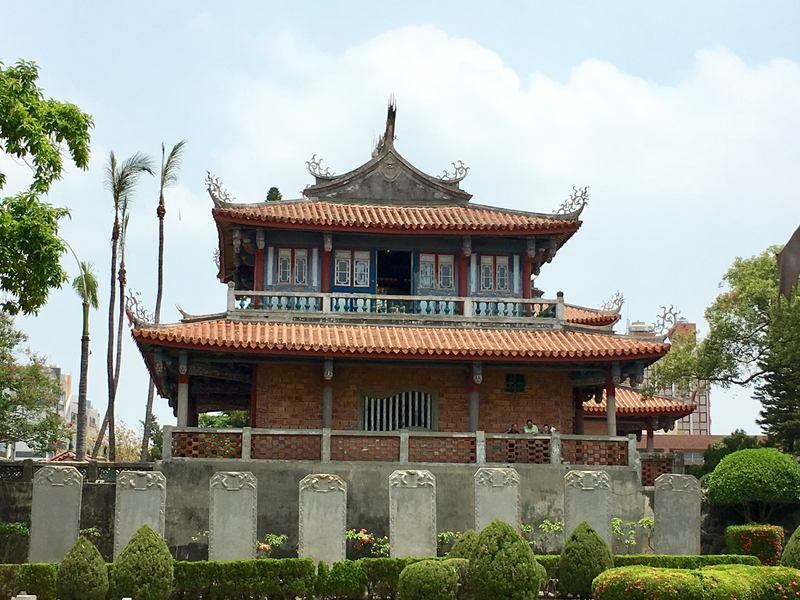 Tainan was the capital of Taiwan from 1683 until 1887 and has plenty of historic sites to explore. 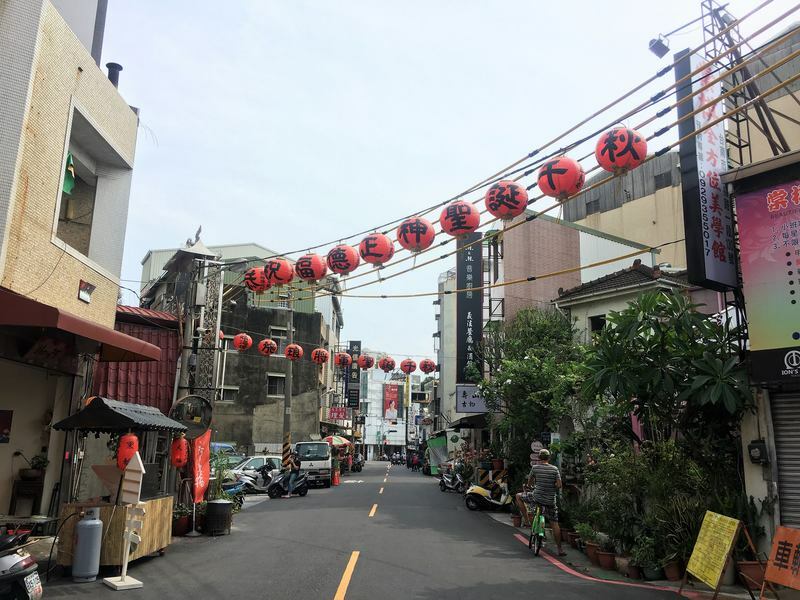 Despite having a population close to 2 million, Tainan city center (where most of the sightseeing places are) is very walkable. Or, do as we did and cycle your way around town! 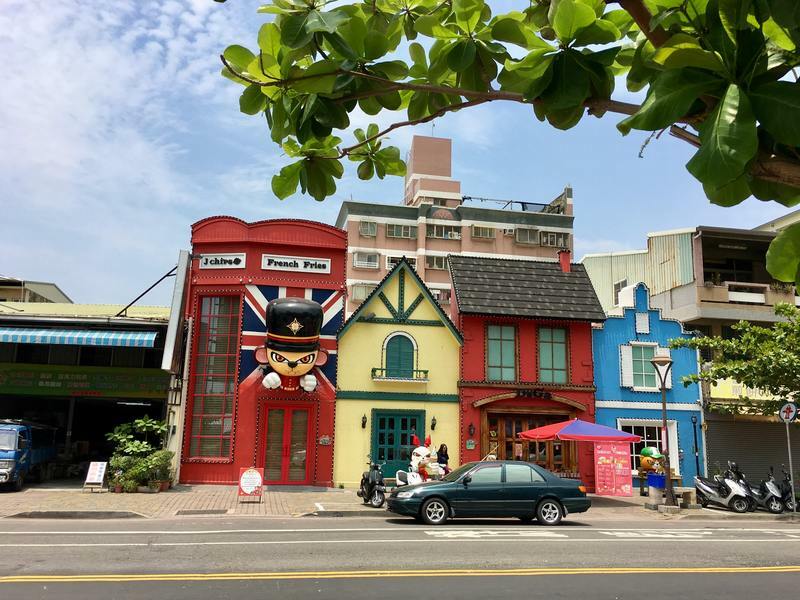 We traveled to Tainan from Kenting National Park and spent 3 days in this lovely city. 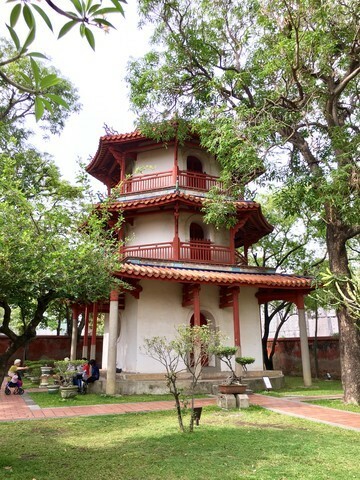 Tainan was a particularly interesting city for us to visit, because of the Dutch history (I’m Dutch, so it’s always interesting to visit places with a bit of a Dutch history). 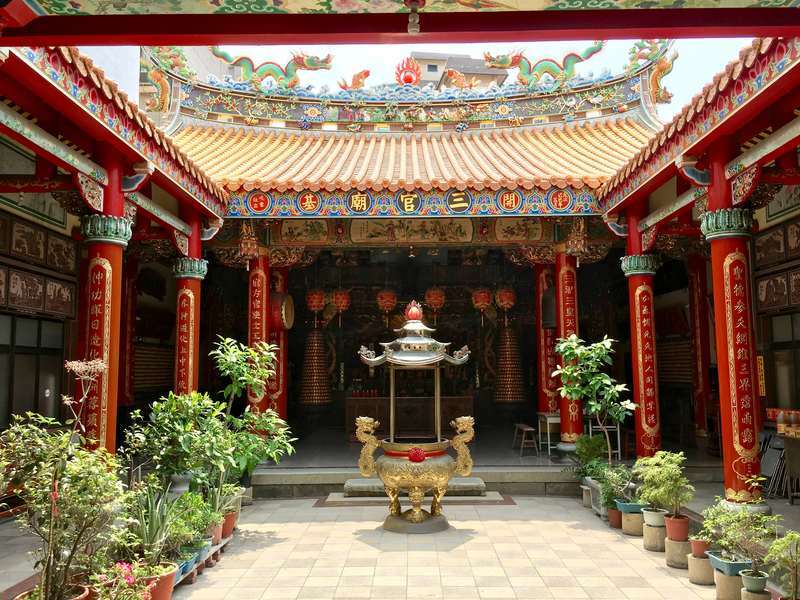 Tainan is famous for it’s many temples, but there are many other worthwhile places to visit as well. 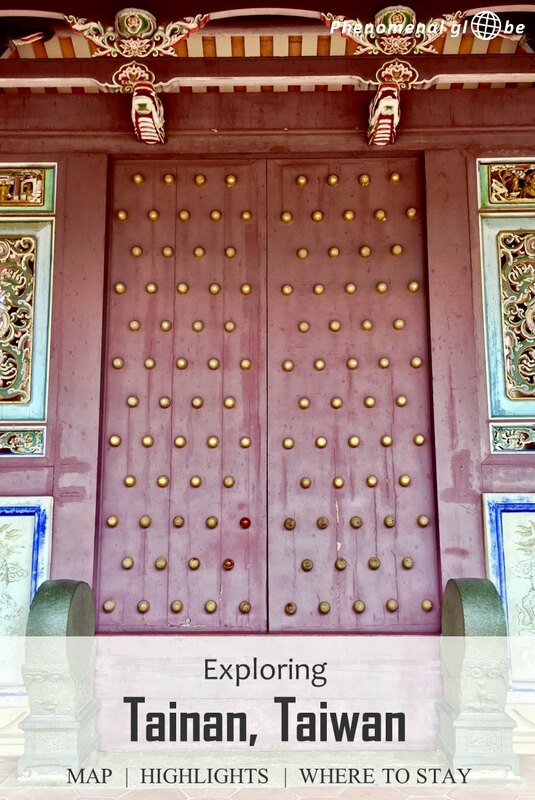 Check out the map below to see what to do in Tainan. 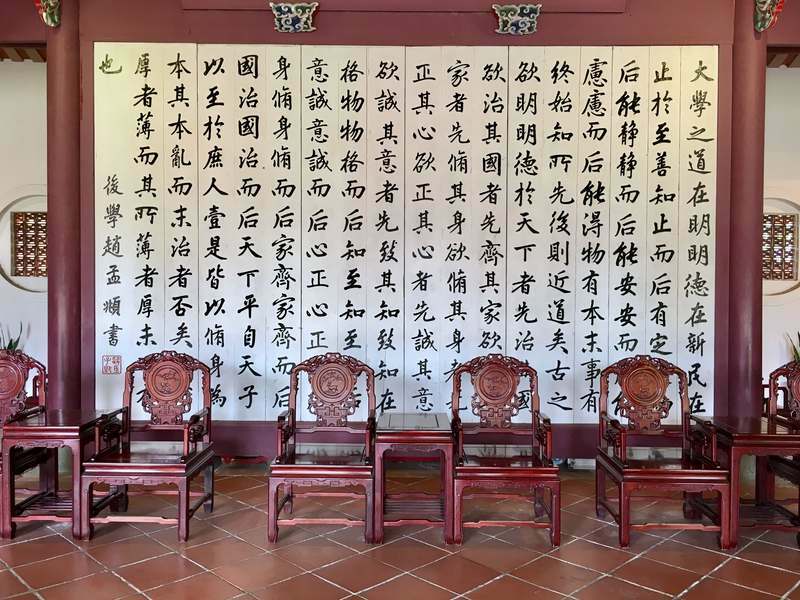 Tainan day 1: visit the City God Temple, Koxinga’s shrine, the great South gate and the Tainan Confucius Temple. Tainan day 2: visit Hayashi Department Store, the Land Bank of Taiwan, the Grand Mazu Temple and Chihkan Tower, Anping Old Fort and the (Anping) Grand Mazu Temple. Tainan day 3: visit the National Museum of Taiwan. 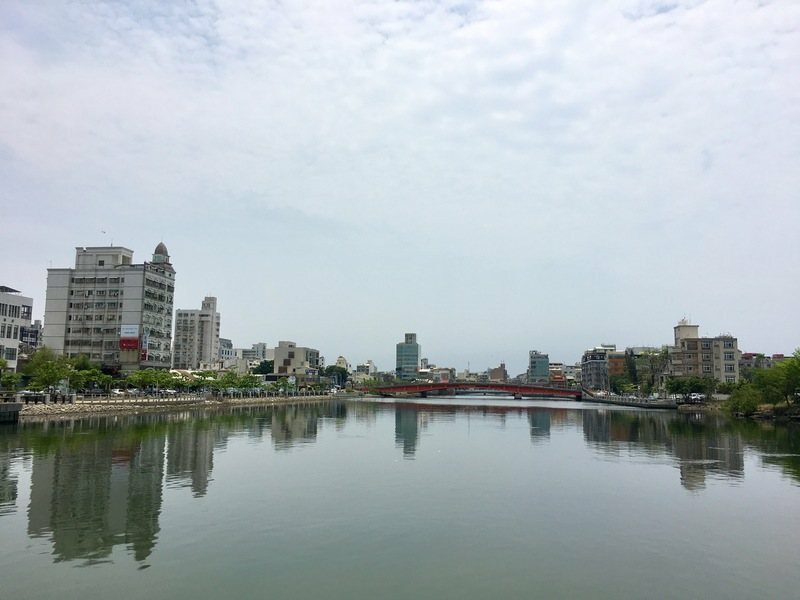 After our excellent experience cycling around Kaohsiung, we decided to continue our explorations by bike in Tainan as well (more about the bike rental system in Tainan in the transport section below). 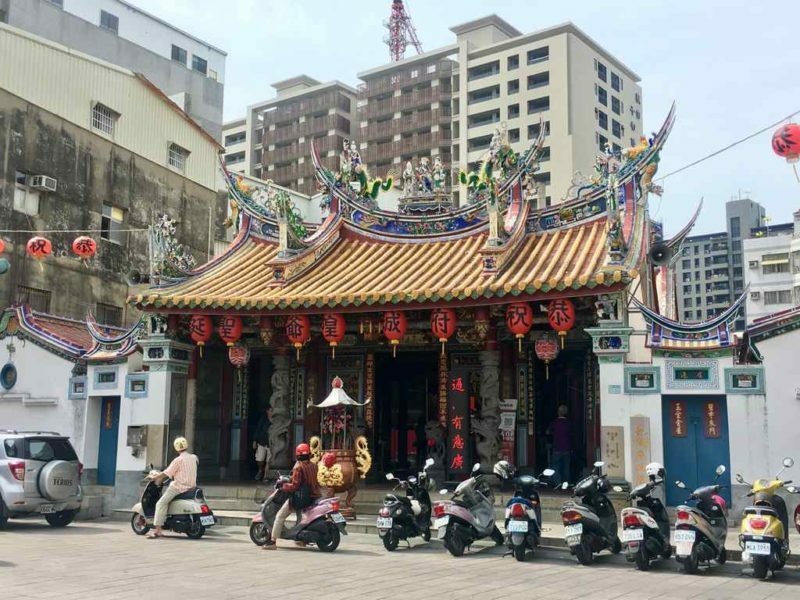 We cycled past the colorful City God Temple but didn’t go inside as it was very busy with local people. I never want to intrude too much when people are worshiping, whichever religion it may be. Up next was Koxinga’s Shrine, I particularly liked the beautiful garden. An interesting piece of history: Koxinga conquered the Dutch who had established several outposts in Taiwan and subsequently founded his own dynasty (the Kingdom of Tungning). We continued to the Great South Gate. While the gate itself was quite nice, I loved the tree (pictured on the right) which is slowly but surely taking over the wall! 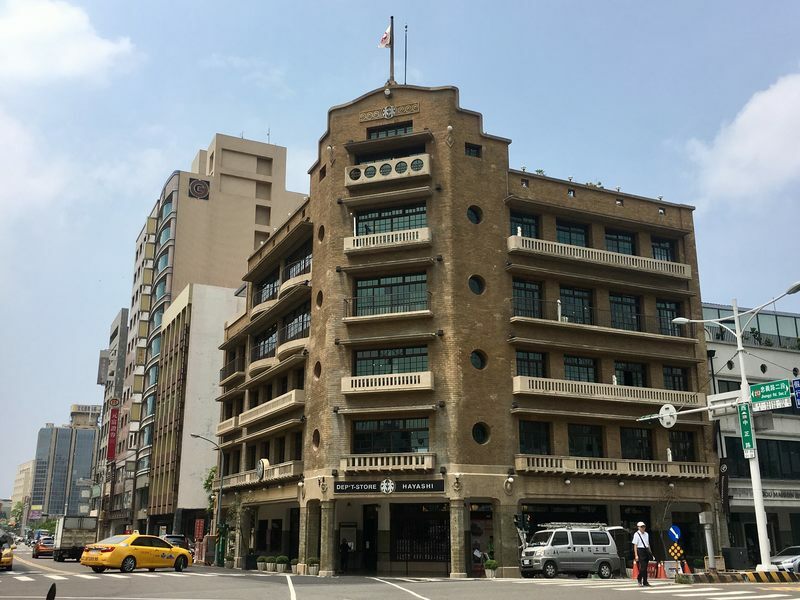 We started our second day on foot and walked from our hotel to the famous Hayashi Department Store, built during the Japanese rule of Taiwan. When the store had just opened, people used to queue up to ride the elevator, a novelty for that time (1932)! Across Hayashi Department Store is the Land Bank, an impressive looking building for sure! Looks Greek, doesn’t it? 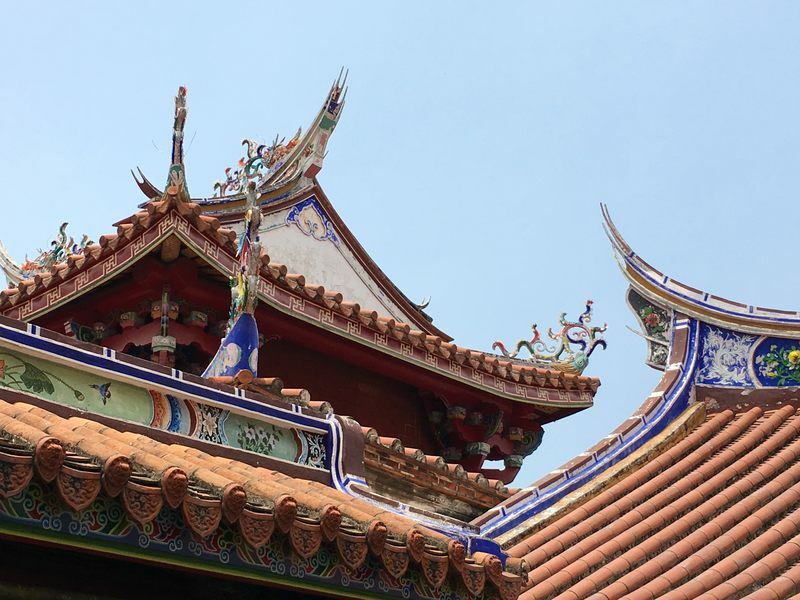 From the Land Bank we walked to the Grand Matsu Temple, a national monument and a beautiful colorful building. 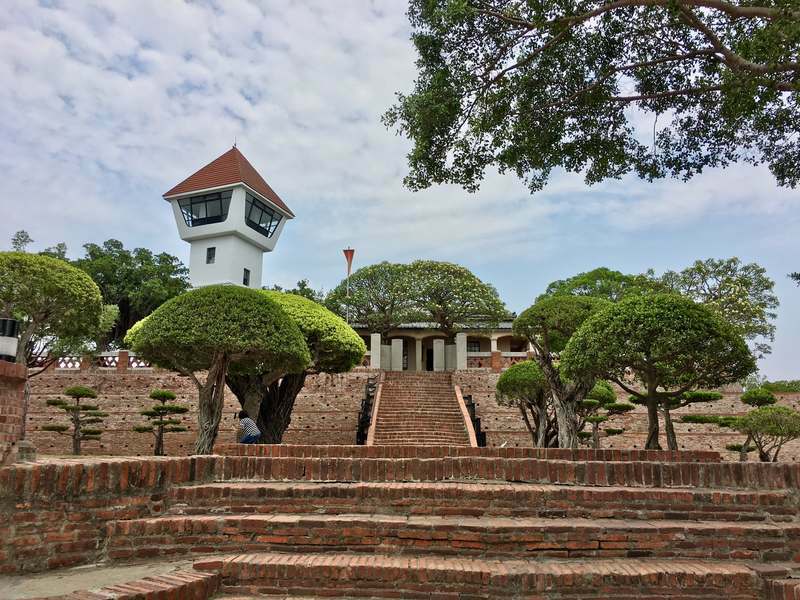 Next to the Chikan tower was a bike rental station and we hopped on a bike and cycled to Anping, the other district in Tainan you can’t miss! We cycled along the channel which offered some great city views. It’s around 5 kilometers from the Chikan Towers to Fort Zeelandia, you could walk as well but we preferred our bikes. 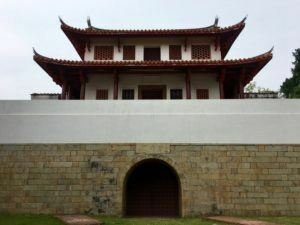 For me Fort Zeelandia was the highlights of our Tainan itinerary because I find it fascinating to imagine how people explored the world centuries ago. 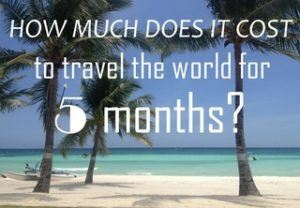 Long before the arrival of planes, TV and social media… Sailing into the unknown, not knowing if you would ever return to your home country… Takes some real courage and a very adventurous spirit to sign up for such a journey! Anyway, I digress. Fort Zeelandia was build by the V.O.C. on the shores of Southwest Taiwan in the early 17th century . The fort was used as a trading outpost for several years, but eventually the Dutch were defeated and left Taiwan. The fort was our final stop of the day, from Anping district we cycled back to our hotel. 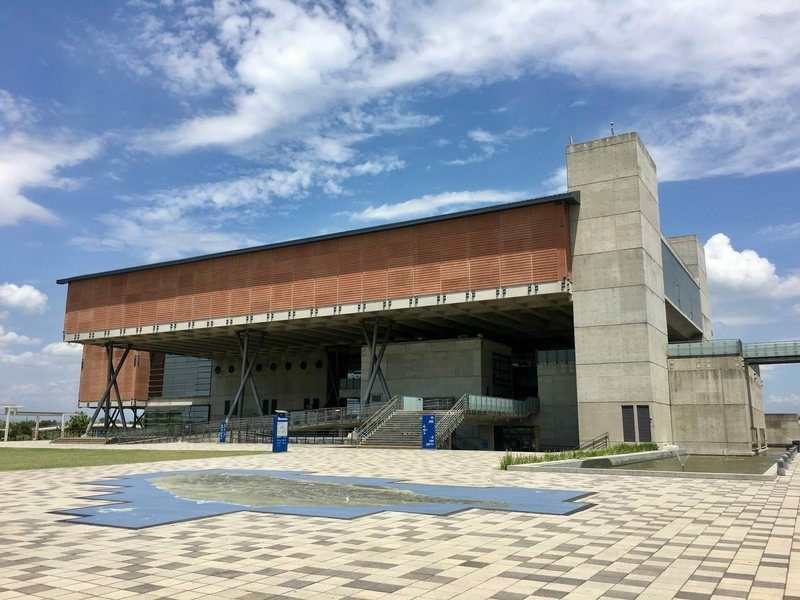 On our third day in Tainan we visited the National Museum of Taiwan History. We cycled there (about 8 kilometers) in the early morning and spent the majority of the day learning about the history of Taiwan. Did you know this little island has been occupied by the Portuguese, the Dutch, the Chinese and the Japanese?! I did not, I learned that and much more in the museum, a day well spent. Get the excellent audio guide! We bought a combination ticket for 2 people including entrance fee and 2 audio guides for just 250NT. As you can see in the itinerary above, we did a lot of sightseeing in Tainan. However, this doesn’t mean a visit to Tainan will break the bank. 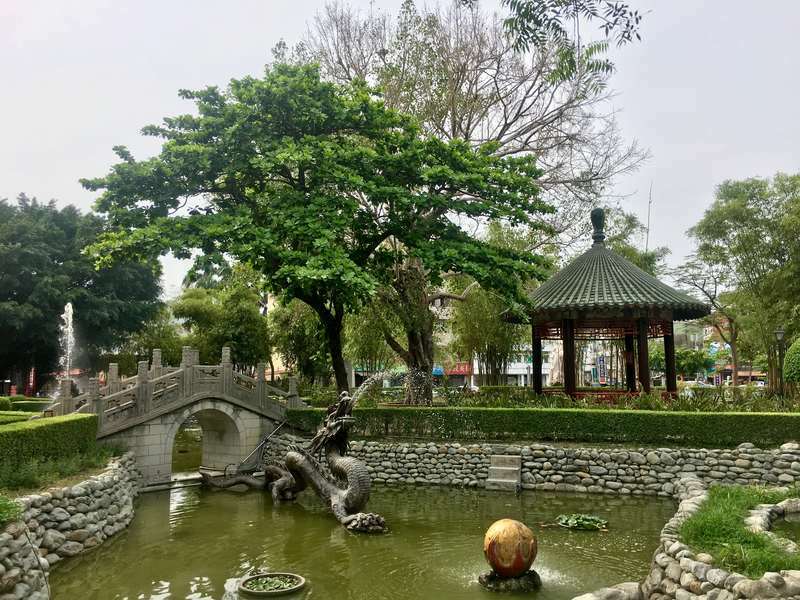 In fact, it’s very easy to visit Tainan on a budget, during our 3 days in Tainan we spent approximately €50 per day (for us as a couple, so just €25 per person!). Below you can find more information about our accommodation and how to get around Tainan city. Spotless room with a comfortable bed. The bathroom was modern, shower was good, towels and toiletries provided. Hot and cold water dispenser in the hallway. WiFi wasn’t great but overall it was much more than we expected for the price we paid. 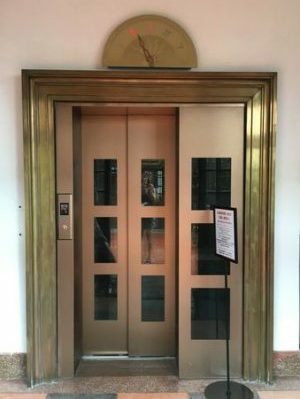 Important note: we first got room 1319 on the 13th floor (which was being renovated at the time of our stay in May 2017). However, I asked for a different room because the room smelled strongly of cigarette smoke. We got a renovated room on the 2nd floor (219) instead, which was very clean and didn’t smell at all. Cycling is very popular in Taiwan, there are great public bike rental systems in place in Kaohsiung, Taipei and Tainan. Being from the Netherlands we are used to cycling everywhere, so for us this was the perfect way to explore these Taiwanese cities while getting some exercise in the process (much needed exercise because of all the delicious food in Taiwan?). In Tainan the public bike rental service is called T-Bike, you can find more information on this website. There is an app available (in Chinese) which you can use to locate a bike rental station. You can use an iPass to register (find more info about the iPass here and in my Kaohsiung post) or pay with credit card. In order to register your iPass at a T-bike station, you need a Taiwanese number. Unfortunately you can only register 1 iPass per Taiwanese phone number in Tainan. Since we wanted to rent 2 bikes we used 1 iPass to rent a bike and 1 credit card, both worked fine. 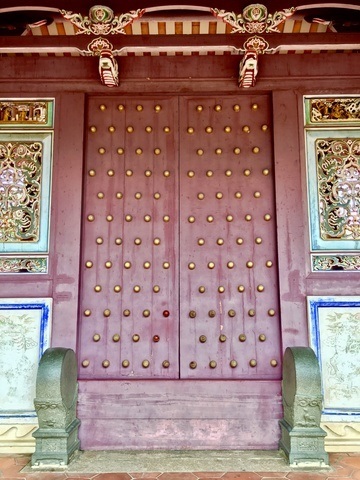 That’s everything about our 3 day trip, I hope article this has given you an idea which places to visit in Tainan! 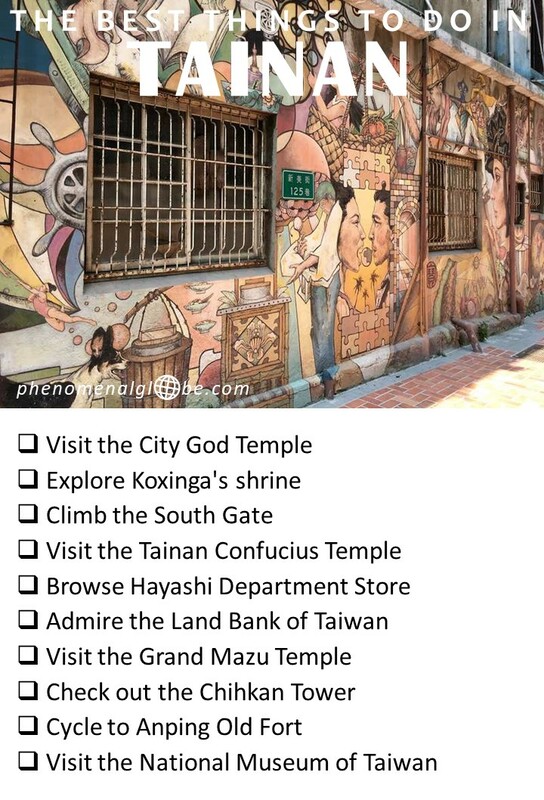 You can download the list of things to do in Tainan below. Thank you Ryan! Haha, yes the Dutch love to explore… Indonesia was a colony back in the days, as was Suriname (which we traded for New York, in hindsight that wasn’t the smartest decision;-). Excellent, informative post. So interesting to hear about the Dutch history in Taiwan, I wonder if any influence on the language or culture was left behind. I also had a curious experience exploring Hong Kong, which is an old British colony – its a wonderful, fascinating culture but I still stumbled across a traditional British afternoon tea, which was an offer I couldn’t refuse. Thank you Mark! I don’t think much of the Dutch culture was left behind, but definitely some architecture and Dutch names. Haha, British afternoon teas are the best:-). 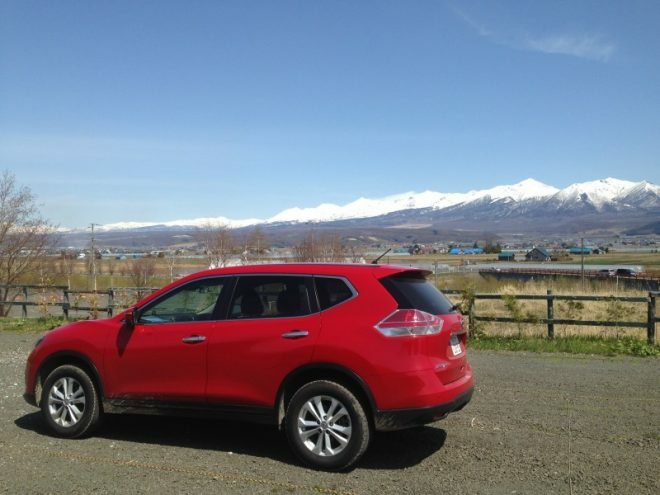 Do you have the name of the place? Would love to check it out next time I’m in Hong Kong! Afternoon tea served at the Peninsula Hotel! Will be heading to Tainan in December! Thanks for sharing this wonderful guide Lotte.